There are a number of ways keeping track of progress and investing in video production can benefit your business. 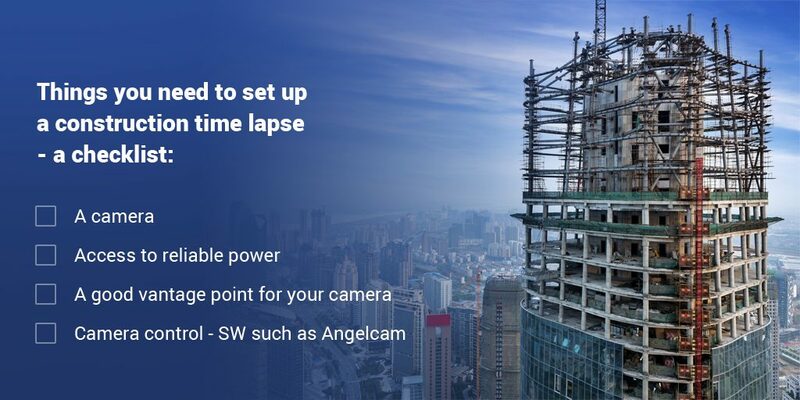 Here are our top 3 use cases for timelapse video, an essential when it comes to the construction industry. The work speaks for itself. In this case, indeed, a video speaks for itself. A time lapse video tells the story as construction unveils. 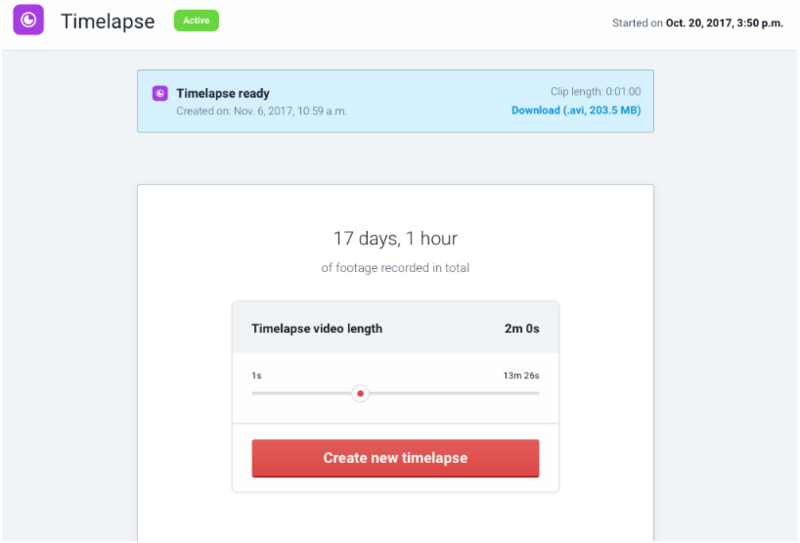 There’s something catchy and addictive about time lapse and no matter the audience, it’s one of the most engaging formats. Extra tip: Sell an edited copy of the construction video as an extra product to your client. On site monitoring coupled with time lapse can help document unpredicted events or errors. Going through footage in this scenario can save resources – and help prevent repeat incidents. Tired of flicking from one camera to another, trying to keep an active eye on all of your feeds at a given time? With our brand new Video Wall feature, you no longer have to. Easily create an overview that displays your camera feeds on one screen, customizing it according to your specific needs. Best of all, not only can you watch up to 10 cameras on one Video Wall, but you can create an unlimited amount of Video Walls and conveniently switch between them. 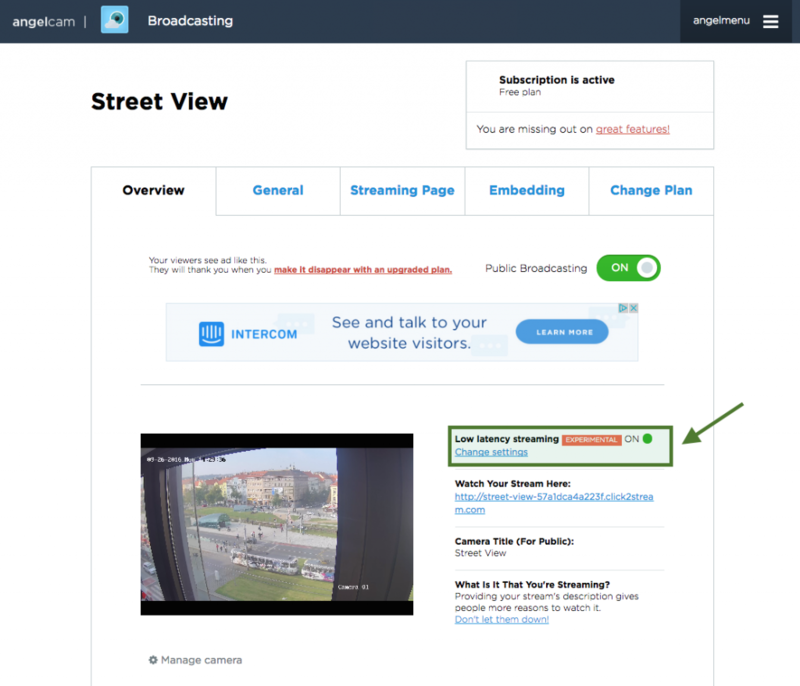 Use this great new feature to create your own video monitoring station or just quickly and easily check if all your cameras are online. Log into your My Angelcam zone. We have noticed an increasing number of Hikvision cameras being hacked over the last few weeks. 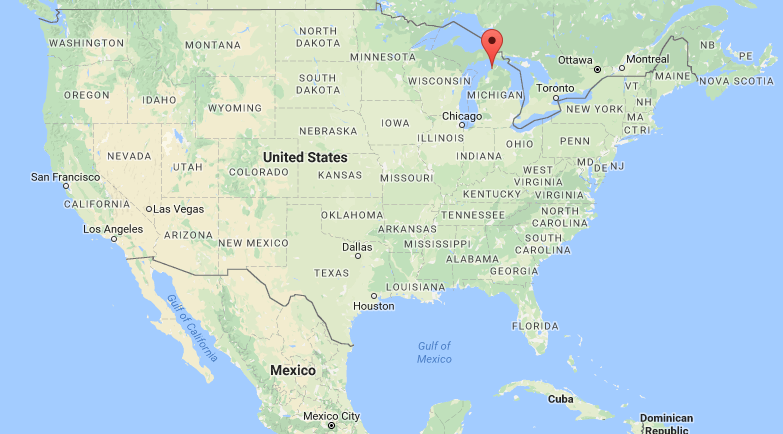 If you’re using a Hikvision camera, please pay attention to this post and check if your camera is safe. The main reason why we are informing end users about this particular security issue is due to how easy it is to gain access into affected devices. It is called a “Hollywood hack”, one press of a button and they’re in. The ease of use combined with the fact that it is a widely known and discussed issue means that it poses a real threat to many users. In most cases, your camera settings will get changed for no apparent reason or the camera will be reset to its factory defaults. A hacked camera might even appear to work completely fine, so we recommend securing your camera anyway. Please note that this is a tech article, if you’re not familiar with some of the processes below, please try using our AngelBox for additional security or contact your local dealer/camera manufacturer. Which devices are vulnerable and how are they being attacked? Certain Hikvision firmware versions have a static password hard-coded into the firmware. This means that no matter how complex the password, every camera can be directly accessed. Most cameras will end up being reset to their factory defaults, in certain cases, the attacker might use the gained access to take over the camera for their own purposes or try to access your network. For the camera to be vulnerable, its HTTP port (usually port 80, where you access the configuration page of your camera) has to be publicly available. 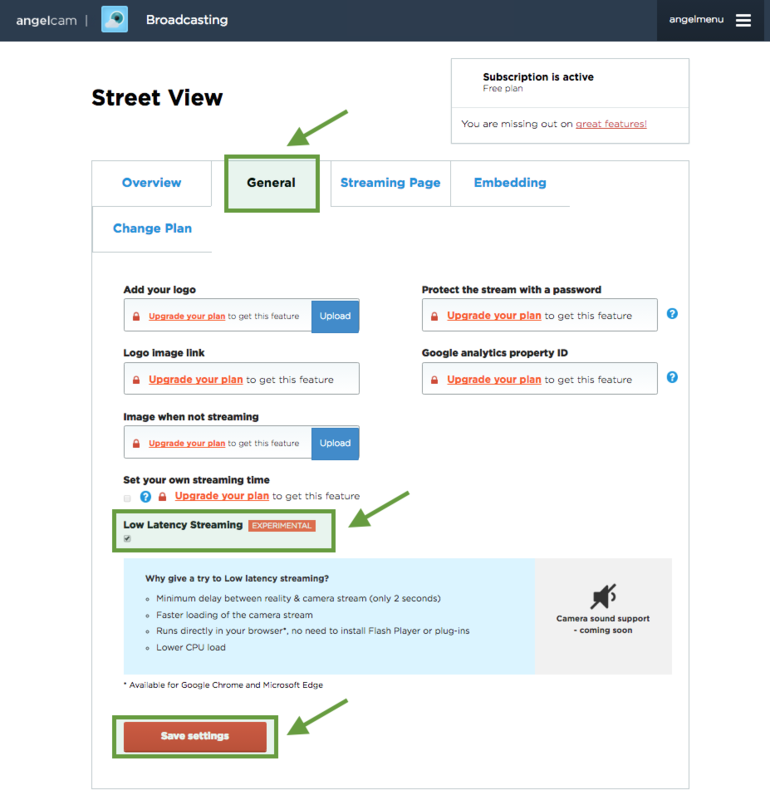 This means that you either have to have it forwarded on your router for remote access or you need to have UPnP enabled in the camera and in the router, as well. Cameras NOT affected: cameras which are used in closed local networks only, cameras which are only streaming to public through RTSP port or cameras connected to Angelcam through AngelBox. 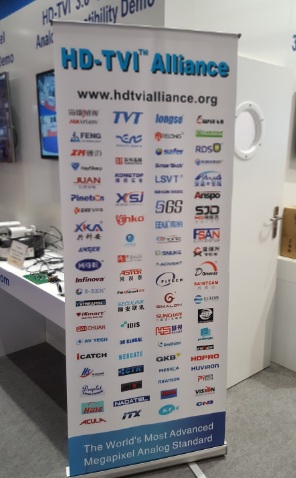 Both official Hikvision devices and OEM brands selling Hikvision hardware are affected. The brands include, for example, some models from Annke, Digital Watchdog, Hunt, Lorex, Swann, TrendNet and so on. What to do to secure your cameras? First, please be warned that you’re performing all these actions at your own risk. We are not responsible for any damage or failures resulting from following the recommendations. If you’re not familiar with the following, we recommend contacting your local distributor and asking them for an assistance. To make this matter even more complicated, there are two version of Hikvision devices. The grey imports tend to be translated Chinese versions. Upgrading firmware in such cameras results in “bricking” them (effectively destroying their software completely). These cameras have a “CH” in their serial number. If you have such cameras, you can try any following recommendations except for a firmware upgrade. To upgrade your firmware, please contact your dealer/seller or try following one of many online guides at your own risk. 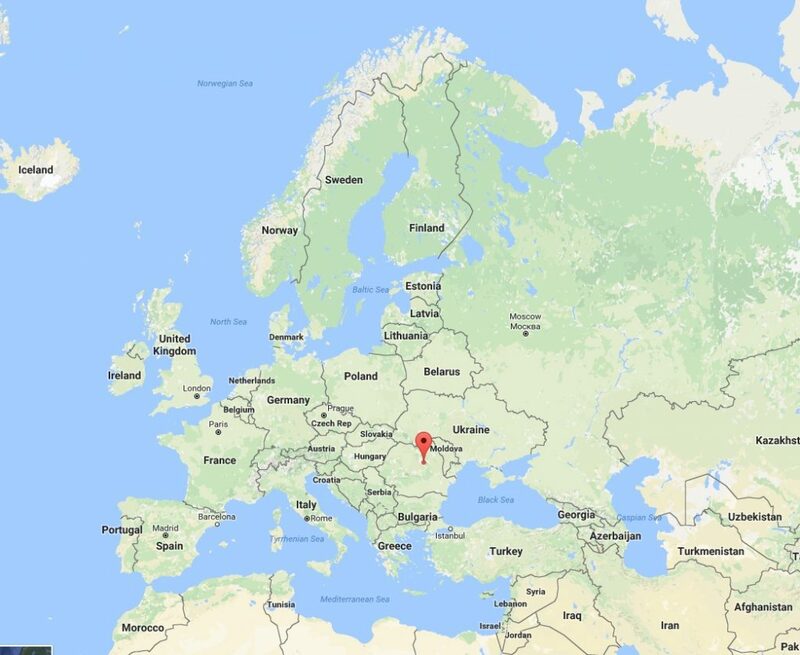 If you have a HTTP port remotely accessible and you don’t need it, close the port. In addition to point 1, disable UPnP in your camera network settings and disable UPnP in your router settings as well. It will prevent local devices from opening ports on the router automatically. This feature is usually disabled by default, so just make sure it stays that way. In order to do this process properly, upgrade the firmware by following the recommended manufacturer’s procedure and then reset the camera to its factory defaults. By doing this, you will make sure that there are no configuration changes left after the attack. If the device is not Hikvision, but its OEM brand, please contact the manufacturer directly. 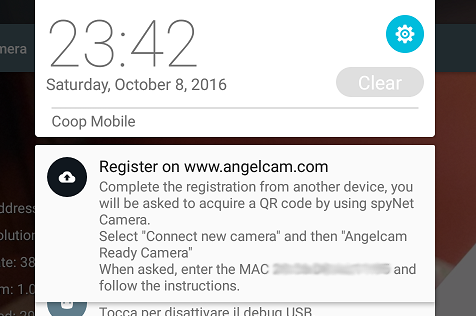 If you either can’t change anything mentioned above or if you simply want to improve the general level of security when using Angelcam, try using our AngelBox – a device with end to end video encryption which makes it effectively impossible for the camera to be hacked. As an additional option, we recommend setting up a VLAN for your security system and disabling the devices from this VLAN to access the rest of your local network. Even if the cameras get hacked, the hacker won’t be able to gain access to the rest of your network. 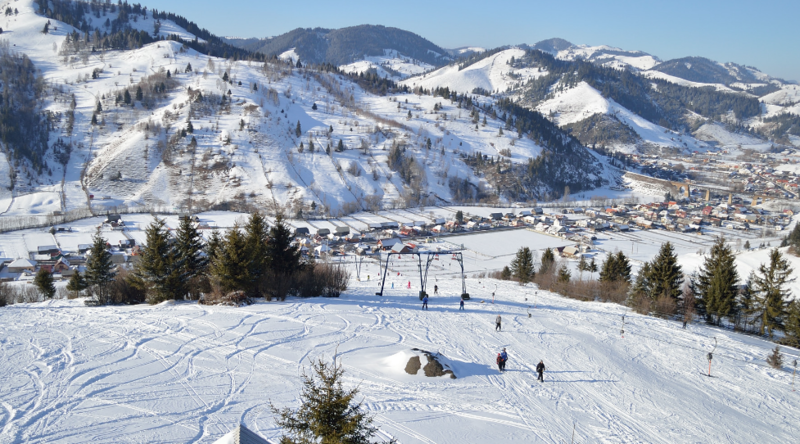 Whether you’re still waiting for the first snow of the year or it has already arrived, now’s the best time to plan your winter holiday. 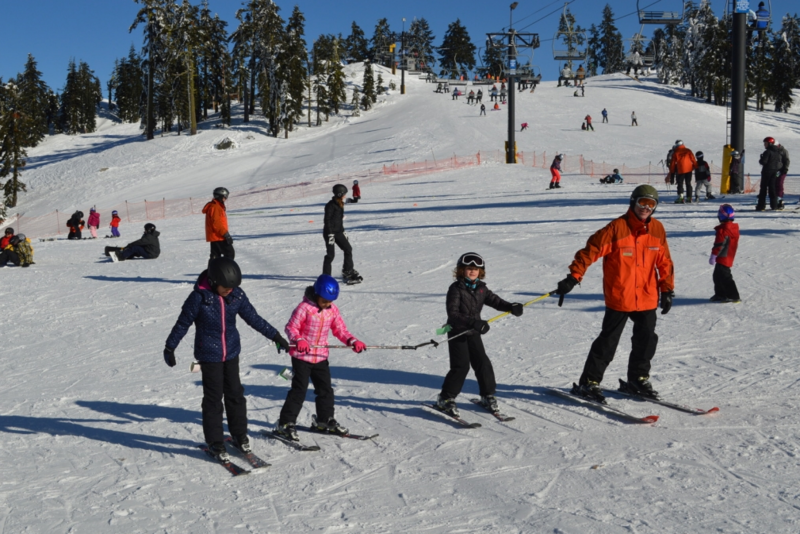 Before you put on your skis or pull out your snowboard from the garage, don’t forget to check the amount of snow on web camera in the ski resorts. 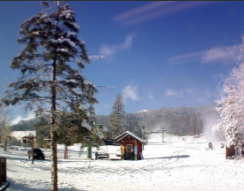 A quick glance at their cameras can tell you whether new snow has fallen or if snow cannons are busy waiting for colder weather. Get some inspiration from these public webcams connected by Angelcam. Did you know you can use your smartphone as a wireless security camera? UPDATE 7 Jun 2017 – the application has been renamed to Cam’ON – Cloud IP Camera. Yes, it’s true! 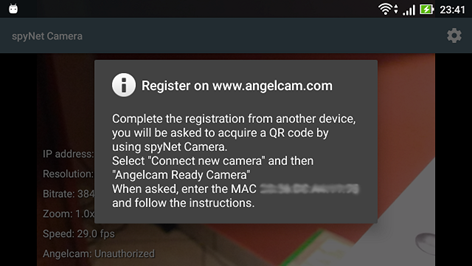 And now you can even connect it to Angelcam without any network configuration. spyNet Camera works with WiFi or by using mobile data connectivity. It can stream any available camera and it’s free. And it’s not the only advantage. You can turn your Android device into a security camera that protects your house, hotel or AirBnB room. Or anything else that needs to be temporarily secured. You just use your phone that has a battery and wi-fi (no wires required) and there you go – your security system comes alive! Anytime you move your camera to a different network (new wi-fi or even cellular) and connect it to Angelcam, it’s connected securely to our cloud. All you need is a smartphone with Android 5.0 (and up) and a wireless connection. 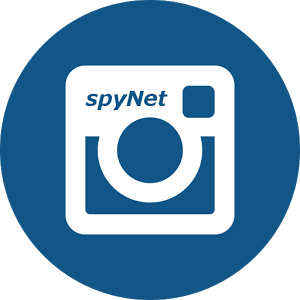 Find a “spyNet Cloud IP Camera” app on Google Play. Install it and make sure it has the required permissions. 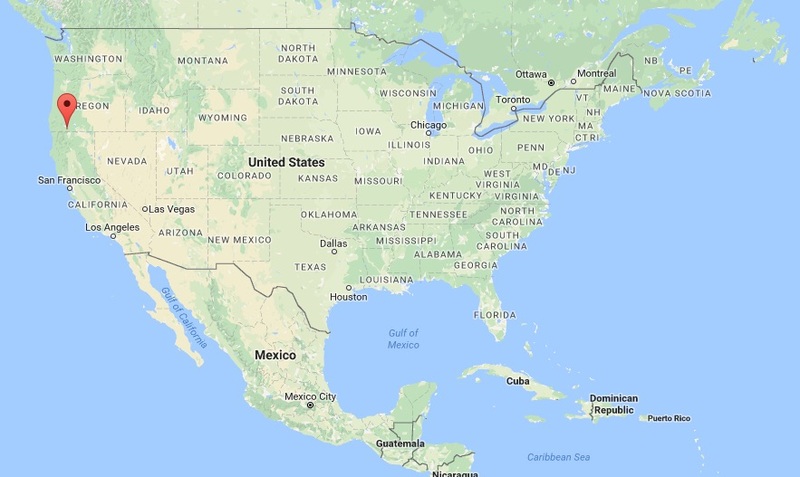 Find a MAC address of your device. A simple guide is here. Follow this link and fill in the MAC address of your device. Scan the QR code, name the camera and add it to your account. Here’s a little help with screenshots for Android 6.0 how to configure the app. After enabling the adapter, you’ll receive a notification asking to register and showing the MAC you use. If you click on the notification, a message will be shown explaining what to do. You’ll also get a notification on your mobile phone like this. Also you can allow the streaming over mobile data connection by disabling the ‘WiFi only’ option from here. Note: If you want to use the same device on a different account, please contact our support. The pairing record needs to be removed first. What’s the delay between reality and your camera stream? Only 2 seconds now! Nobody likes to wait. Nobody wants to install yet another plug-in to the computer. Everybody loves when their camera broadcasting runs smoothly. That’s exactly why we’ve brought another feature to our cloud platform – LOW LATENCY STREAMING. Minimum delay between reality and camera stream – only 2 seconds! (Otherwise it can be 5, 10 or even 20 seconds). Faster loading of the camera stream. So far, the feature is available for Google Chrome & Microsoft Edge. The only little disadvantage is no support of sound, as the stream is muted when Low latency is on. 6. You can than see the status of the Low latency feature in Overview sheet. *The feature works not only in Broadcasting app, but influences your camera settings in general, so you can benefit from it in Cloud Recording App too. Where do angels meet in London? At the security exhibition IFSEC! 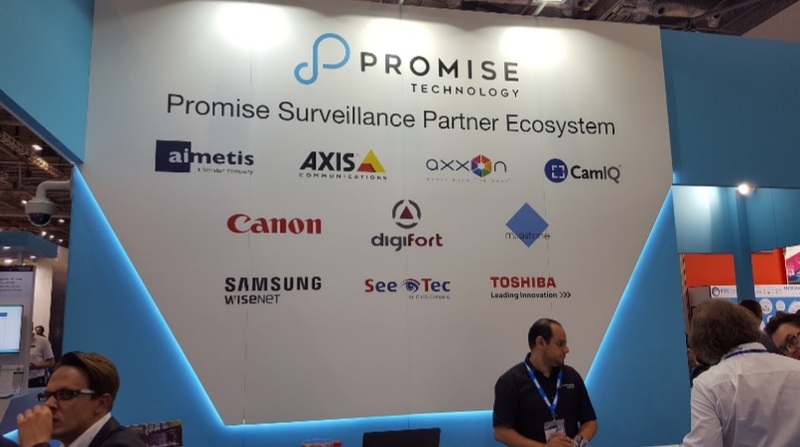 Last week London held Europe’s largest security exhibition, IFSEC International, and of course we couldn’t miss this exciting event! IFSEC is a great exhibition where you can meet everyone from the world of security systems, such as manufacturers, distributors, installers, integrators, consultants and end users. You can see hundreds of latest technology innovations for the protection of your property and people. What surprised us this year was the general theme of the exhibition, that is, openness and collaboration. Manufacturers seem to realize success is not tied to just hardware, but rather the overall solution, interoperability and the ease of installation. It also seems everyone senses change coming to the industry. Cameras are getting cheaper and smarter (you could see a camera that can recognize people, follow them and even talk to them), DIY products are entering the market and cloud solutions are changing business models. For all of these reasons, manufacturers need to cooperate and embrace openness. Higher resolution cameras (eg. new Avigilon 7K Pro camera that cover larger areas with less cameras, very handy for parking lots for instance), lower priced cameras, more h.265 codecs. More integrations and many cloud solutions built around camera hardware. Axis zipstream compression (together with h.265 camera are about to reduce bandwidth needs). The AXIS Design Tool continues to evolve, showing that manufacturers are differentiating themselves by catering to the needs of the integrators. We’ve met many interesting people and saw things that convinced us that security systems are one great field to work in. See you next year, London. Just now you can meet Luke & Mike in Las Vegas on a CES show, where they visited our friends from Muzzley as well. 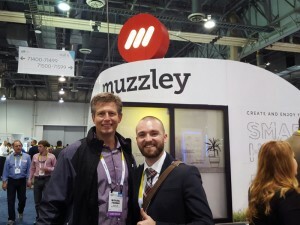 They’re simplifying the home automation in a great way. 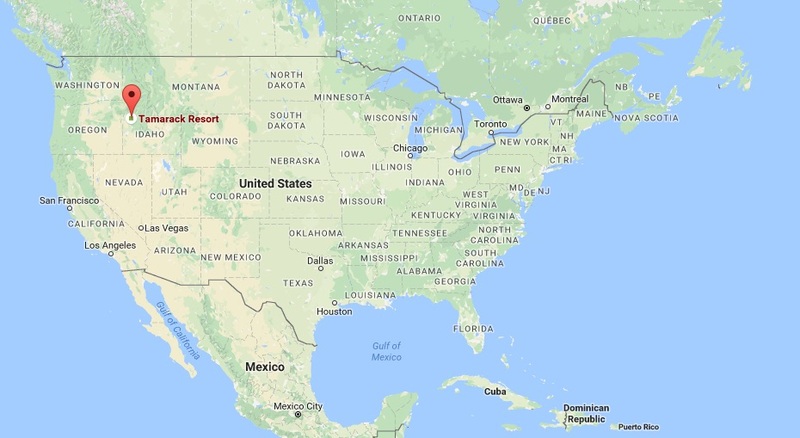 On February we will be in San Francisco, on April in Las Vegas again (ISC West show) and we’re planning our trip to Tokyo and other places. We’ve customers and partners in more than 150 countries and we want to meet as much as possible interesting people. So feel free to drop us a line to luke@angelcam.com and schedule a talk about your needs or business challenges!